September | 2012 | Hand Luggage. So back to Italy, for the fourth time! Despite swearing blind last year I would never spend my hard earned money in the grumpy rude fest that is Italy, back we go! Just can’t keep away from the culture, astounding architecture and glamourous beaches. First off, the glorious wedding of a close friend in Rome. 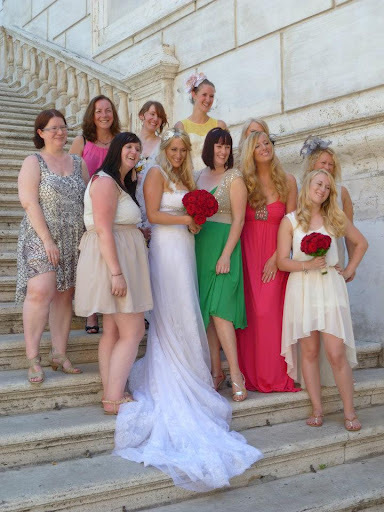 Married in the beautiful setting of the Campidoglio in Rome, it was every inch the Dolce Vita! Even though it was 38 degrees and no air conditioning!! Here we are looking glam. 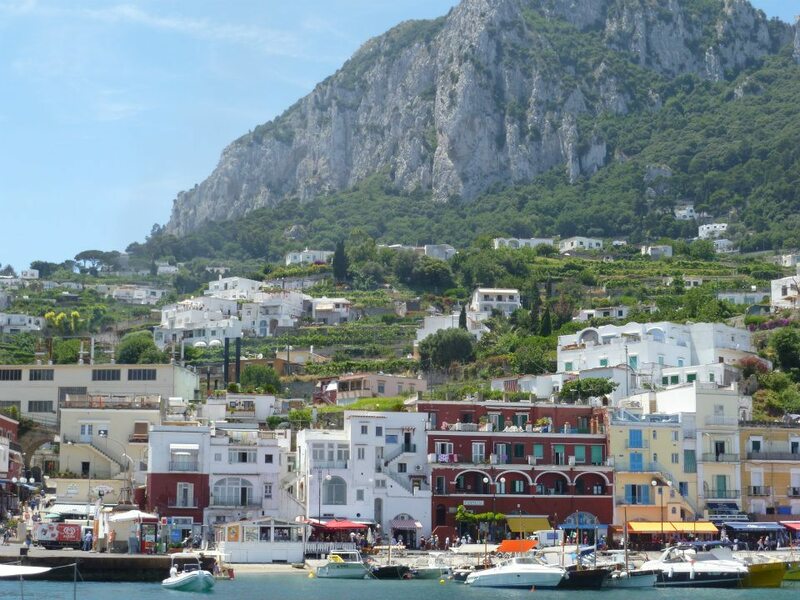 Next up a six am train ride to Naples, hopped on the hydro foil and headed to the home of glitz and glamour – Capri! We actually stayed in Anacapri, the small, less developed little village higher up on the island. We stayed in the fantastic Il Sogno B and B. Absolute bliss! Only three bedrooms and set just off the main square it is ideally situated, quite and set in gorgeous gardens. A perfect escape. 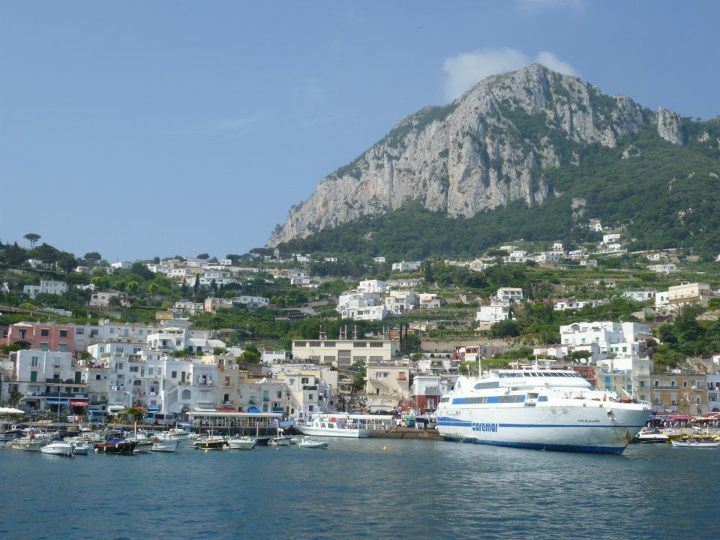 Here’s the Marina Grande – the ferry’s all dock here, in order to get to Anacapri you can either get a taxi or simply hop on one of the tiny, frequent buses that bumble up the steep hill. Feel the fear as they wind up the impossibly high hill, with a sheer drop to the ocean on one side and barely an inch to spare between buses as they meet each other on the hair pin bends. First glimpse of the Island. Colourful houses line the Marina Grande. 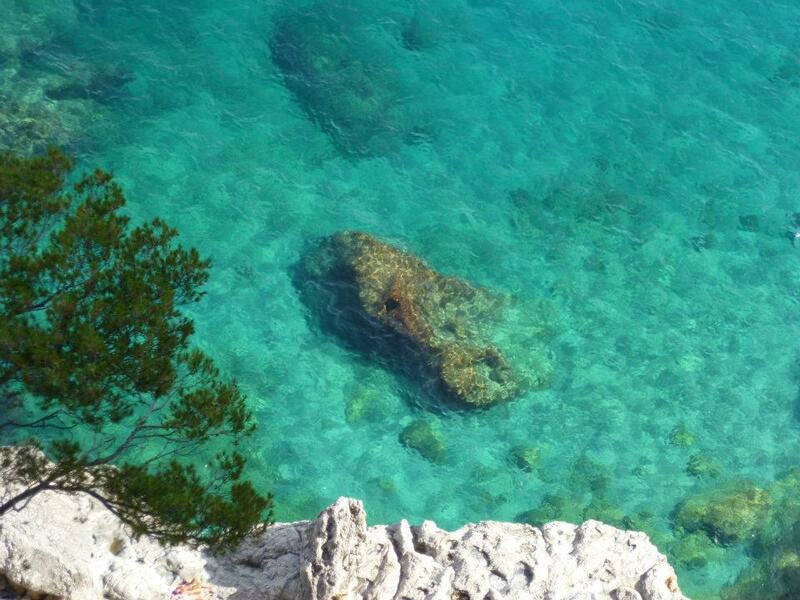 The sea around the island is an incredible, azure blue. Almost too perfect to be true. But always involving a very steep hill down, followed by the realisation it’s a private beach, followed by the hill you need to climb back up . 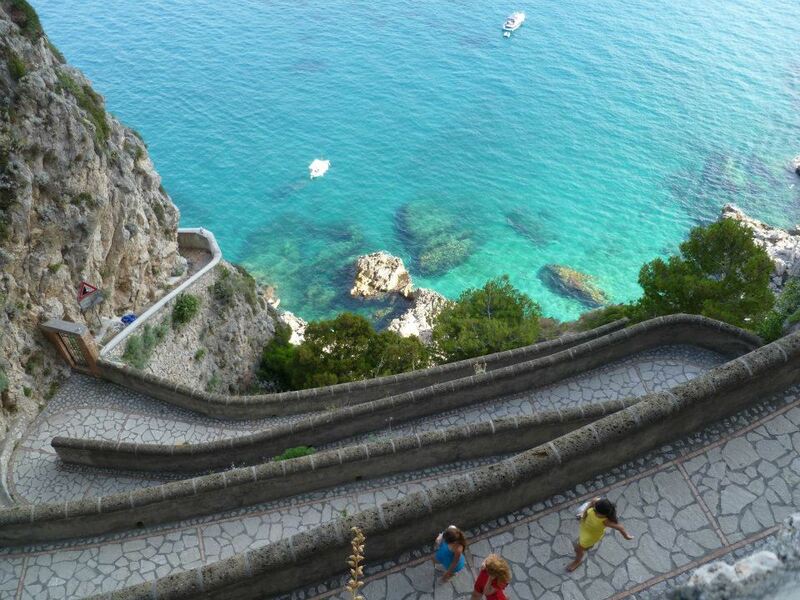 . .
Next we visit the Blue Grotto and check out where the glamourous rich folks hang out – Capri!! !